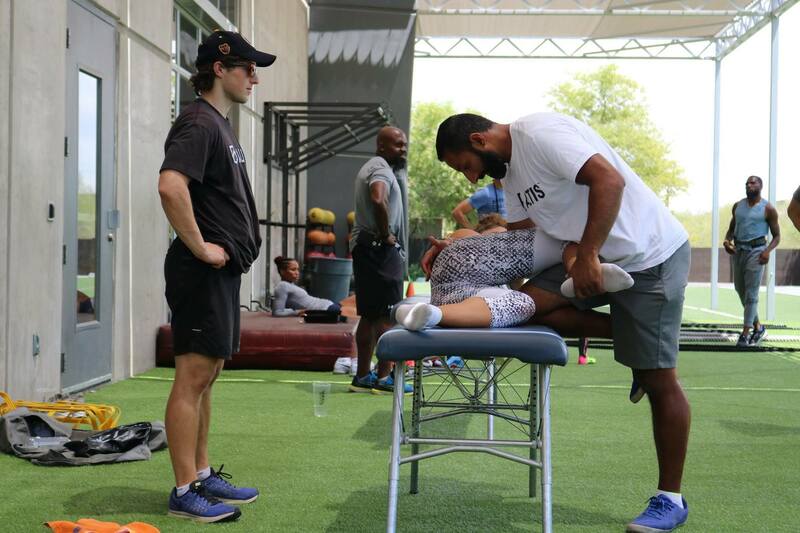 Following the success of the Phoenix-based Performance Therapy Program, a one day Introduction to Performance Therapy is set to make its debut in Europe this November. Hosted and delivered by ALTIS Lead Performance Therapist Dr. Jas Randhawa, and former Chief Physiotherapist for UK Athletics – Gordon Bosworth, two UK based courses will mark the first in a planned series of events to bring awareness and understanding of the benefits of Performance Therapy to practitioners on a global scale. 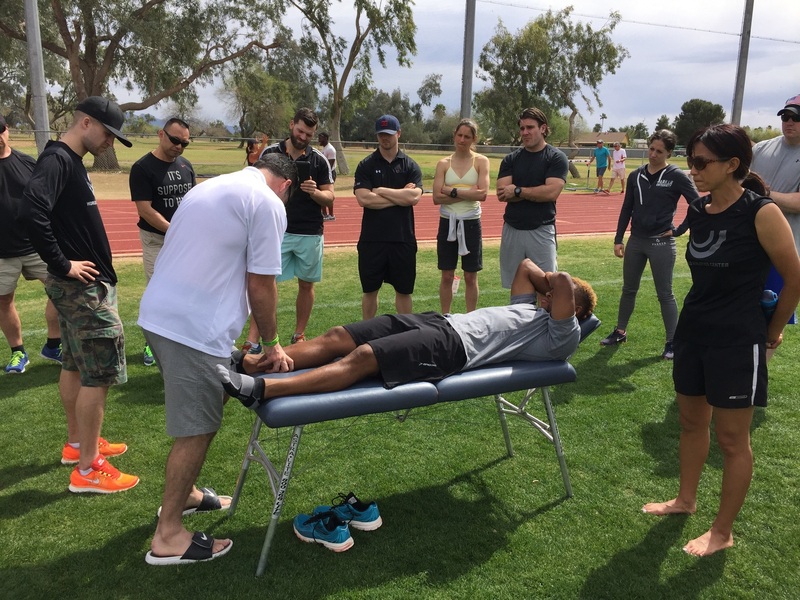 “The ALTIS Introduction to Performance Therapy Course will give attendees an insight into preparing an athlete for performance, whether it be training or competing – and the differences between the two. Fine tuning an athlete for each session increases their musculoskeletal efficiency and reduces injury risk, and the cumulative effect of these preparations leads to sustained performance. Our aim on this course is to disseminate best practice for achieving these outcomes,” Gordon Bosworth explains. Attendees of this course will learn how best to assess movement dysfunctions and manage therapeutic interventions through a structured learning process. “Designed for coaching professionals and medical practitioners, this Course will give individuals the tools and knowledge to become a better movement based practitioner: Through our systems-based approach to movement and therapy, we will help professionals understand how to visualize, assess, and manage movement in the performance environment” said Dr Jas Randhawa. 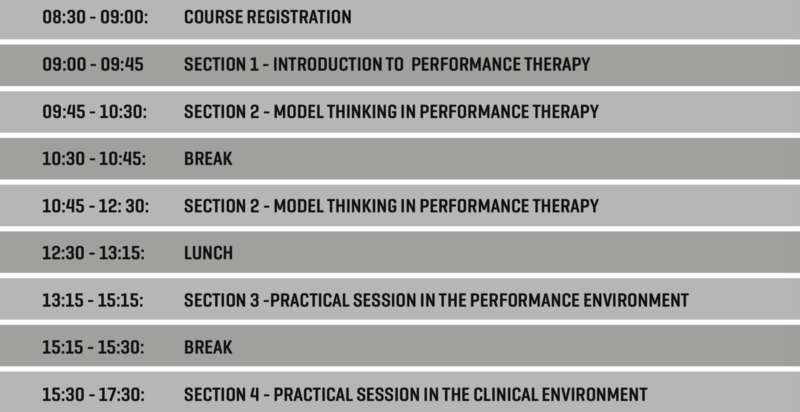 The one day course provides a comprehensive introduction to Performance Therapy. The Bosworth Clinic, Bell Lane, Cassington, OX29 4DS. Oaklands College – St Albans Campus (Smallford), Hatfield Road, St Albans, Hertfordshire, AL4 OJA. Don’t miss out! With limited spaces and booking already open, these events are sure to be a sell out. To secure your place on this one of a kind learning opportunity click here.